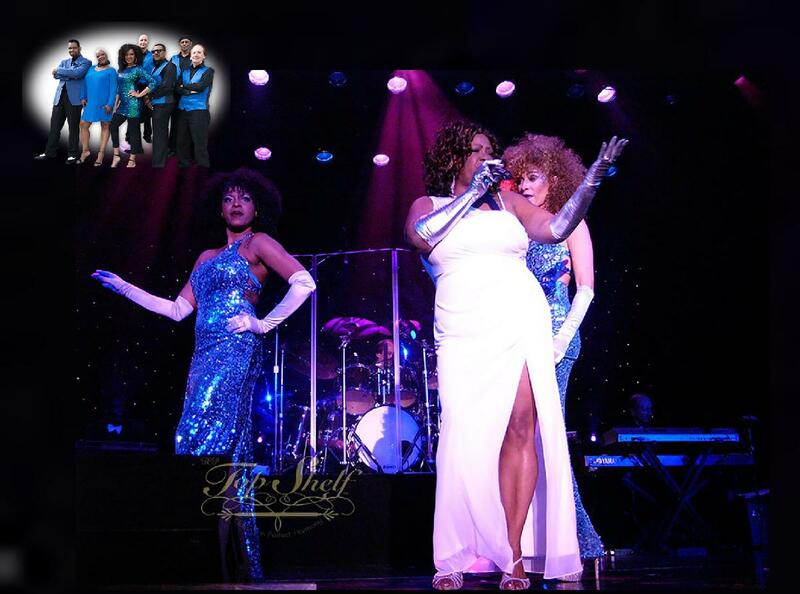 On July 22, Top Shelf will feature Ms. Wanda Diamond, taking audiences on an elegant and exciting journey covering Gladys, Aretha, Natalie, Whitney and more! Melodic, a cappella harmonies! Soul-stirring vocals! Sophisticated style, and engaging personalities! Top Shelf's performance will take audiences on a Classic Soul, Motown, Pop and Funk voyage, paying tribute to icons from each genre. Delivering a black-tie, chill-setting atmosphere *or* an interactive up-tempo old school dance party: a one-of-a-kind Top Shelf experience!